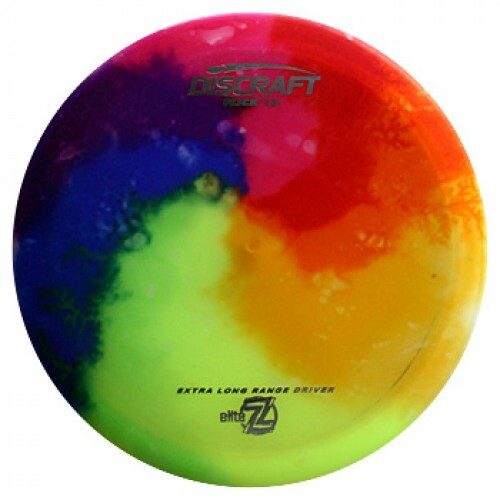 The Discraft Elite Z Dyed Flick is a sleek extremely overstable (2.5) extra long range driver. Excellent for forehand, overhand shots and distance drives. It's a little more overstable than the Crush and Flash. Best for advanced players, heavy winds and wicked fast forehand shots. This disc golf driver has amazing distance!